Are you looking for a New York castle wedding venue? Look no further than the Guggenheim Estate at Sands Point Preserve in Port Washington, New York. Are you looking for a New York wedding venue with a view of the Long Island Sound? Visit the Guggenheim Estate immediately! Do you want to get married in a New York medieval wedding venue? Again, might I suggest the Guggenheim Estate? It’s not easy to find a truly castle-like location to get married in New York. With an indoor seating capacity of two hundred and fifty and an outdoor wedding capacity of four hundred, this is no small mansion! It would be easy to have a Gatsby-styled wedding at the Guggenheim Estate. It would also brilliantly host a vintage wedding, a waterfront wedding, a wedding with a modern elegance theme, and so much more. The only other castle-style wedding venue that I can think of in the New York area is Oheka Castle, and Oheka has a completely different vibe from the Guggenheim Estate. The Guggenheim Estate is a quirky space, perfect for the discerning wedding couple. 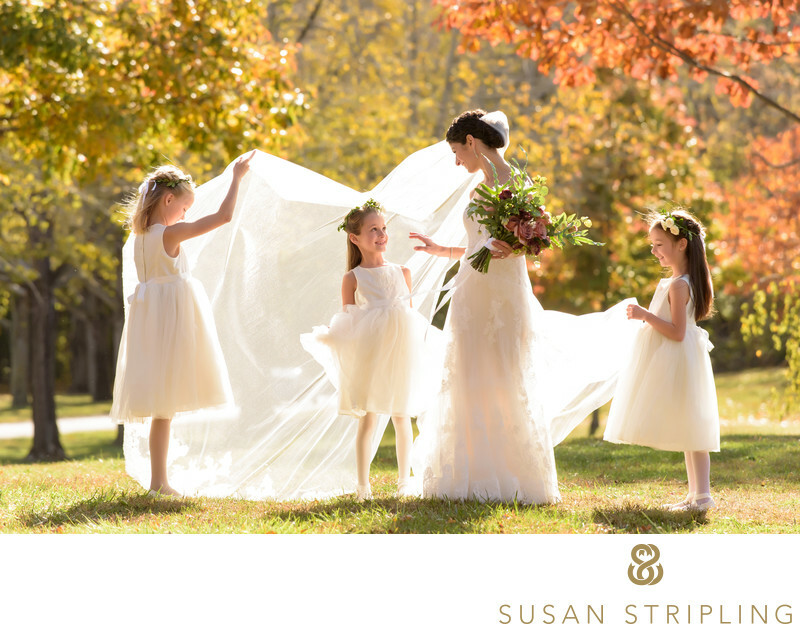 At this Guggenheim Estate wedding, the bride and groom wanted to have their pictures with their wedding party taken outside with the brilliant fall foliage in the background. I always love when we get a crisp, clear autumn day for wedding day portraits. Before we photographed the portraits of the bride and groom together, their wedding party, and their families, we spent some time inside the Hempstead House taking pictures of them getting ready. When photographing the details on the wedding day, the first thing that I look for is wonderful light. The Hempstead House was full of extraordinary pockets of brilliant autumn light. I noticed that the wedding coordinator had placed the bride's gown and the bridesmaids' gowns on a metal rolling rack. This made it incredibly easy for me to take the dresses and move them around to my desired location. I placed the bride's gown and the bridesmaids dresses directly in pocket of light that I found in an upstairs hallway. This allowed me to juxtapose the brightness of the dresses against the darkness of the background. I love how the brilliant sunlight really sets the dresses apart from the rest of the scene. 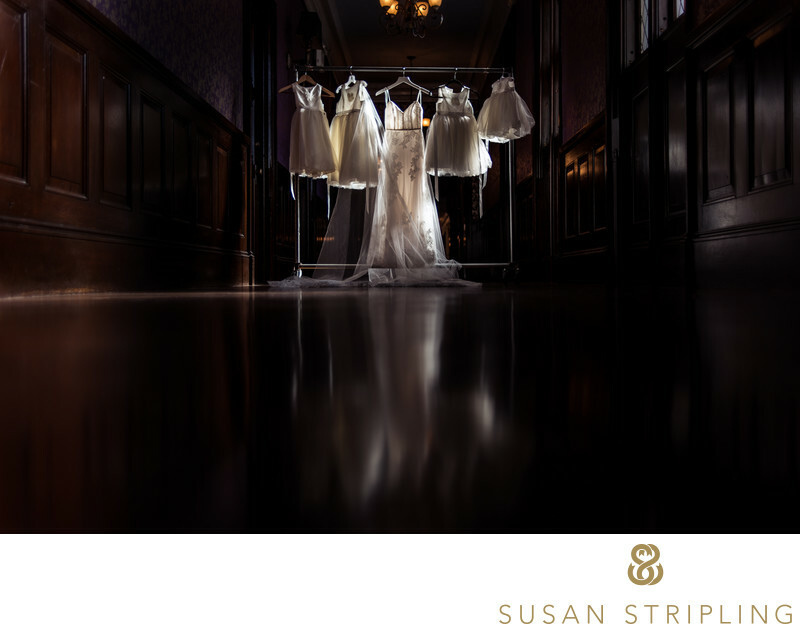 Want to chat more about my approach to photography and your wedding day at the Guggenheim? 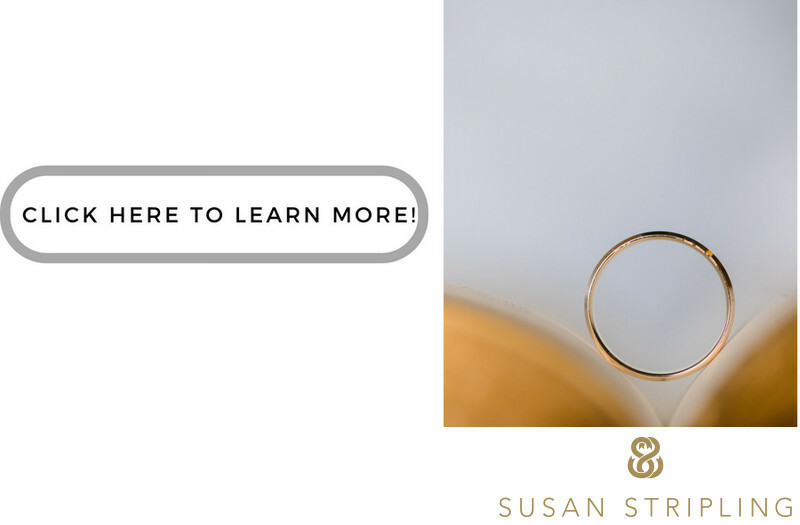 Get in touch today - I look forward to learning more about you! 1/320; f/2.0; ISO 100; 35.0 mm.